Nestled in the crystal clear waters of the Pacific, Okinawa is the home to a rich, historical and diverse culture. It is a place of luscious tropical forests and pristine beaches, but Okinawa’s natural wonders are just the beginning. With one of the world’s longest life expectancies, the islands’ inhabitants have unlocked the secret to longevity – and they call it Nuchigusui. Nuchigusui is life medicine – a wisdom, a philosophy, and a way of life in Okinawa, centred around mindfulness, spiritual fulfilment, and physical wellbeing. We are here to invite you to experience Okinawa Nuchigusui and start living a brand new way. Most of us in Singapore are urban dwellers (unless you stay on Pulau Ubin). Our busy schedules in the city give us very little time to slow down, calm our minds, contemplate life and explore ourselves. It does not take long for us to feel exhausted by the daily toil and the light at the end of the tunnel seem so far away. Japan has always remained high up on Singaporeans’ list of top Asian destinations. We adore the culture, scenery, weather and most importantly the warmth and hospitality of the Japanese people. Okinawa isn’t as popular a tourist destination as Tokyo or Kyoto, so for those who don’t know much about it, it lies at the southern part of Japan, which comprises hundreds of the Ryukyu Islands in a chain. The capital is Naha City and although the culture here may be a little different from mainland Japan but its inhabitants are still Japanese. Okinawa achieved worldwide fame when they were found to be the country with the longest life expectancy in the world. Compared to their compatriots elsewhere in Japan, up to five times as many Okinawans live to be 100 years old. It is hence one of the best spots to find out more about yourself and learn the secret of happiness and long life! Japan beckons you to rejuvenate your mind and body at some of Okinawa’s most peaceful spots. Enjoy the best of Japan’s tropical oasis through energising activities and picture-perfect scenery you won’t find anywhere else in the country. 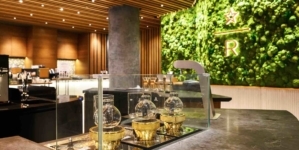 Whether you’re into stargazing, practising yoga and karate or spending your time venturing around Okinawa’s beautiful uninhabited islands, there’s something for everyone. When evening comes around on Ishigaki Island, you will be welcomed with a stunning sky untouched by light pollution. The dark night gives way to some of the best star-bathing in Japan, with glittering vistas as far as the eye can see. Take some time to spot your favourite constellations and perhaps even the Milky Way. 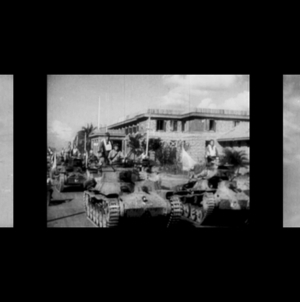 The experience is something that we can never hope to experience in brightly-lit cities. To get a proper view of the night sky, join a star tour which takes you on an evening excursion from the southernmost tip of Japan along with a knowledgeable guide to answer all your star-related questions. 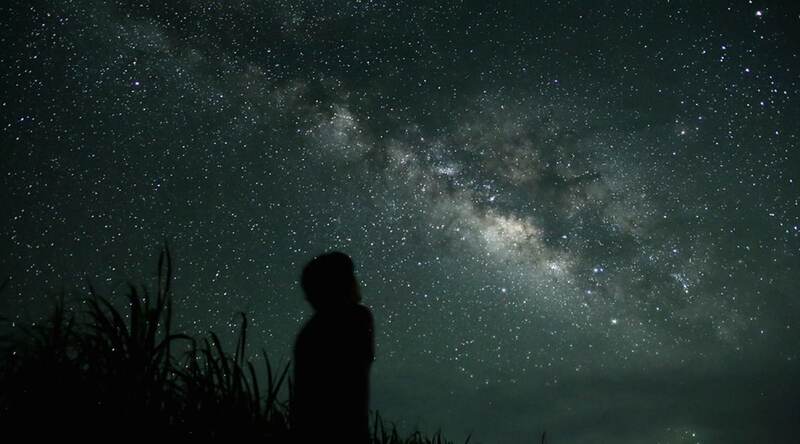 Located just off of Ishigaki Island, Taketomi Island is currently applying to become part of the International Dark-Sky Association, which would make Iriomote-Ishigaki National Park part of Japan’s first-night sky preservation area. Think you are good at Yoga? Think again! 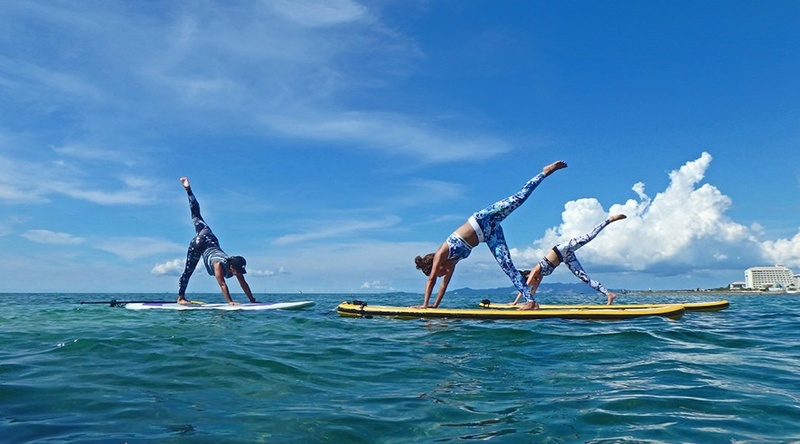 Test out your skills with a SUP yoga class, which involves you practising your best yoga moves on a stand-up paddleboard in the middle of the ocean. While finding your balance, soak up the sun and appreciate your backdrop of Okinawa’s most beautiful spots. More than just a great workout, hanging out on Okinawa’s stunning beaches and waters make this an amazing and surprisingly peaceful experience. 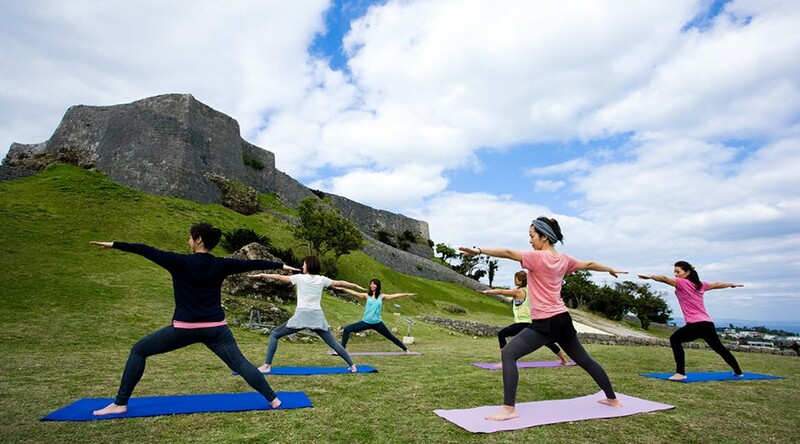 If you’d prefer to stay on land, join a sunrise yoga class outside the grounds of Katsuren Castle, one of Okinawa’s beautiful UNESCO World Heritage Sites. The yoga class will surely leave you revived and refreshed, ready to take on your day ahead. Relax in the great outdoors around some of Okinawa’s most serene spots including Yambaru National Park, a lush green jungle ready to be explored. The wild forest area is the perfect spot to sit back and enjoy the sights and sounds of nature. 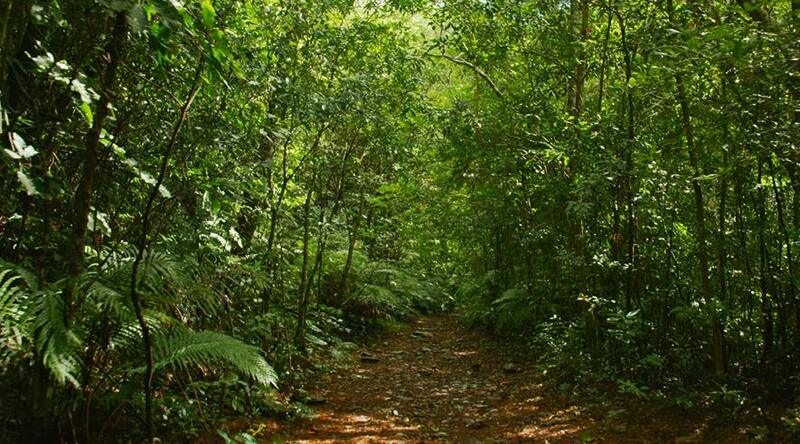 Easy walking and trekking paths are also available for those who want to get up close and personal with mother nature. Another serene spot is Naha’s Shikinaen Royal Gardens, which was constructed back in the 18th century as a home for the Ryukyu kings and continues to stand as a beautiful space for those looking to relax and unwind in the heart of Okinawa. 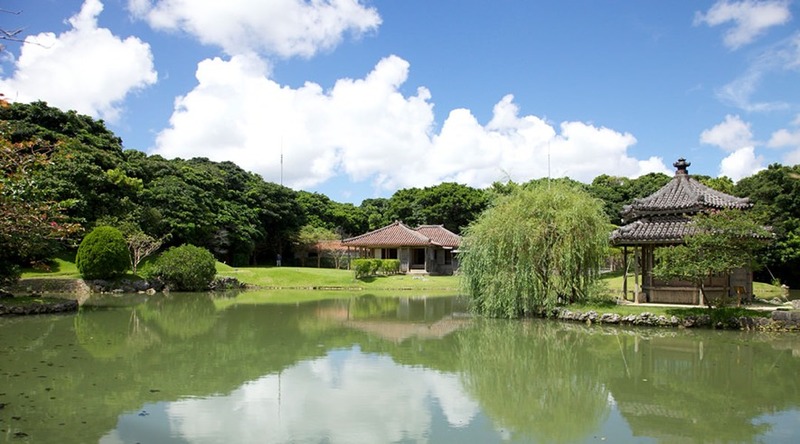 Another Okinawan landmark included on the list of UNESCO World Heritage Sites, the garden boasts lush landscapes, while the main palace and pond make for some great photo ops. Take the road less travelled and visit some of Okinawa’s sprawling sandy shores on uninhabited islands. No trip is complete without a visit to the beach, and the crystal-clear waters at Hatenohama Beach, located near Kume Island, is the ideal destination. This uninhabited island is the perfect location for beach lovers looking to do everything from sunbathing and swimming to snorkelling along coral-lined shores. For those intrigued by a little more island-hopping, head on over to Kerama Shoto National Park where you can explore the stunning Kerama Islands. This area is made up of a cluster of 20 smaller islands not far from the main island of Okinawa. You can easily reach the islands via ferry from Naha, and travelling in between the smaller islands is quick and easy by boat. 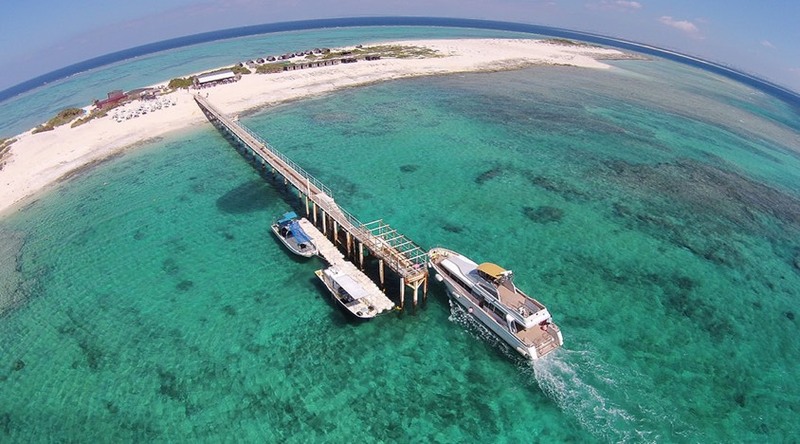 Nagannu Island is another must-visit area, made up of the three uninhabited islands Kuefujima, Nagannujima and Kamiyamajima. It’s the ideal spot for those looking to start their diving experience, as the surrounding ocean contains an abundance of coral and plenty of sea life. Did you know Okinawa is actually where karate originated? 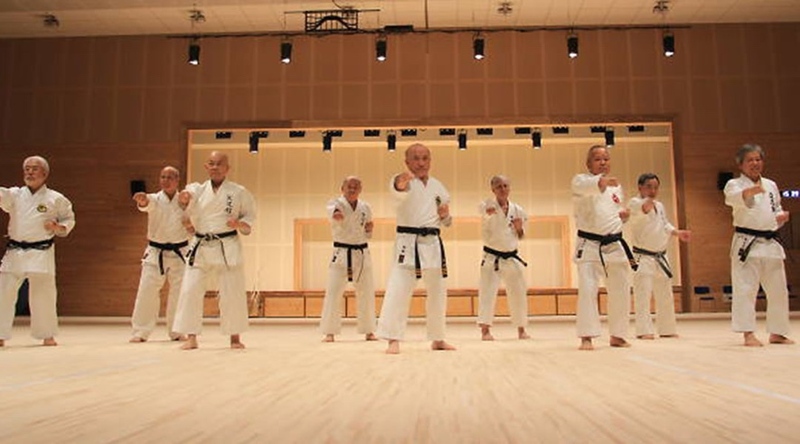 This Japanese sport which has become popular around the world traces its history back to Okinawa, where the martial art was passed down as a highly respected tradition throughout the generations. Karate is special in its own way, as it takes great care in respecting the traditional culture and incorporates elements of peace, respect and courtesy while building strength and character at the same time. 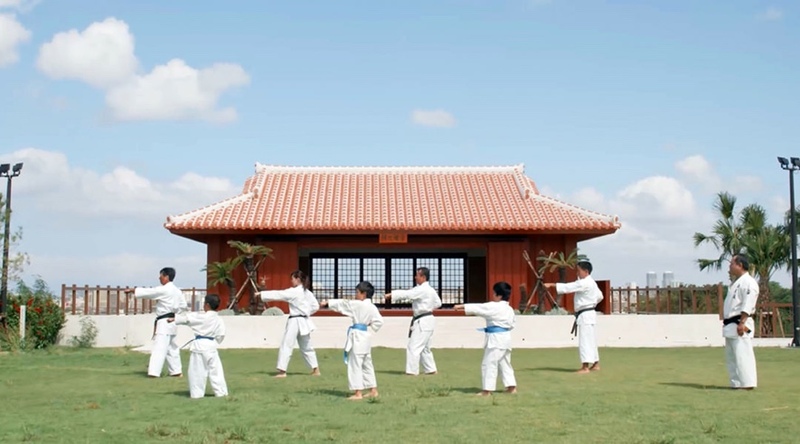 While in Okinawa, pay a visit to Okinawa Karate Kaikan where visitors interested in karate can learn and participate in the sport. The practice institution also houses an arena which holds matches for about 380 spectators as well as a training room and a small museum open to the public. Located just south of the main island of Okinawa, the enchanting island of Kudaka can be reached by ferry and is where to rejuvenate your mind and soul. 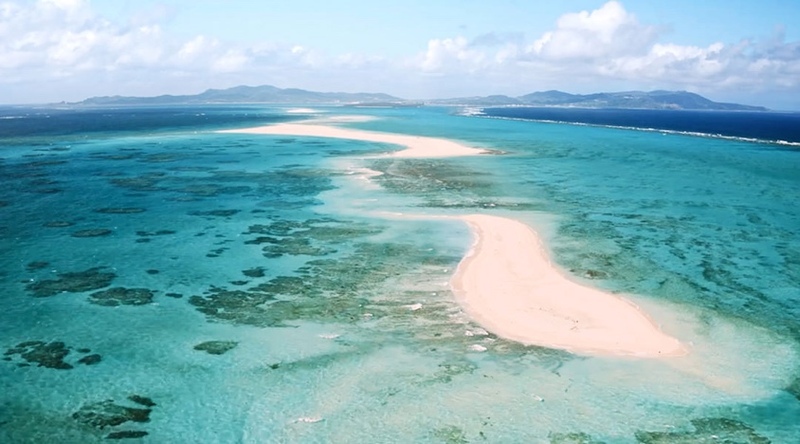 This fairly untouched island is filled with natural wonders and is considered a sacred spot – an ‘island of the gods’ – where the ancient Ryukyu people first introduced many essential crops including grains like rice and wheat. Many locals around here still speak the local Okinawan dialect of ‘uchinaguchi’ and it is one of the few places where you can still see aspects left by the Ryukyu Kingdom. 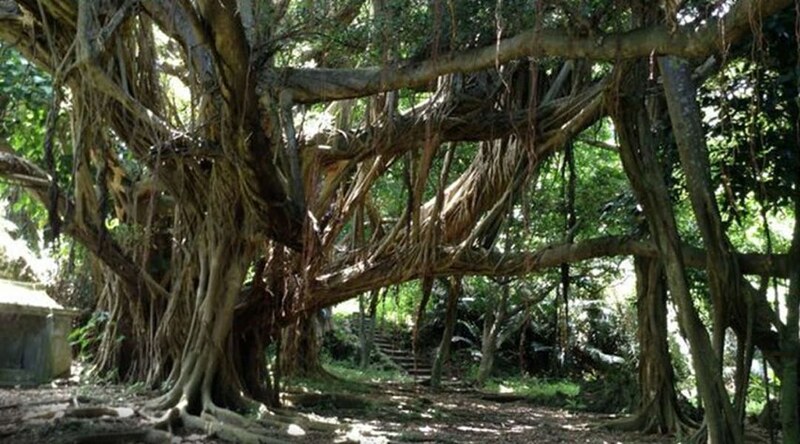 Another spiritual and healing location to visit is Sefa-utaki, once the Ryukyu Kingdom’s most sacred site. The word ‘utaki’ describes the collective sacred areas in the region, including Sefa-utaki in Nanjo City. Another easy ‘power spot’ to visit is Hamahiga Island, which is conveniently linked to the south end of the main island by a bridge. The island is home to two villages as well as a lot of traditional architecture accented with red-tiled roofs and stone walls, and is also a popular spot for those who like fishing. Its ‘power’ derives from the fact that the creator gods of Okinawa, Shirumichu and Amamichu, are said to have once lived there. For those looking for an active getaway, Okinawa is a great place to start your outdoor adventures. Whether you’re interested in jungle excursions, deep water diving or even a sweat-inducing hike, Okinawa will leave you with endless opportunities to capture magnificent vistas and unforgettable memories. Okinawa Nuchigusui – Kayak through the ocean and nature. 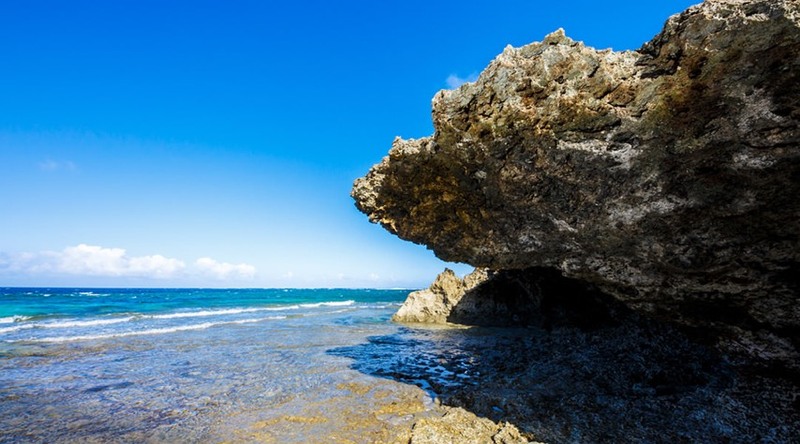 Located about an hour’s drive north of Naha, Nirai Beach is where to spend your day kayaking through turquoise blue waters alongside sandy shores. 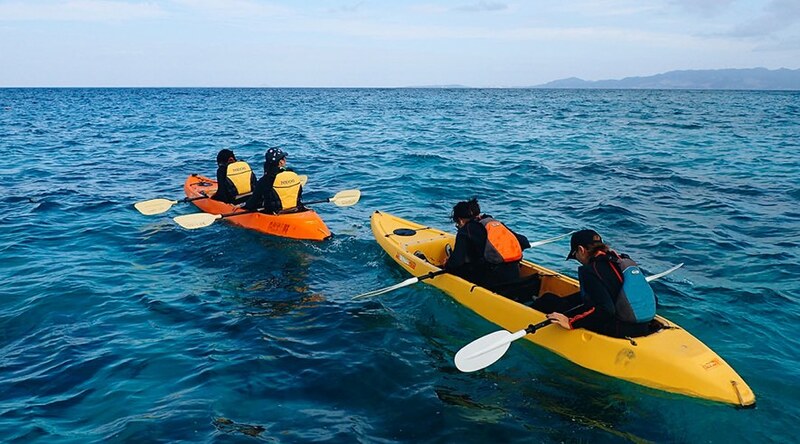 The ideal location for an excursion with the family, it offers calm waters that make it a great place for beginners to start their kayaking experience. Trek around long enough and you might spot some local sea creatures roaming around the area. 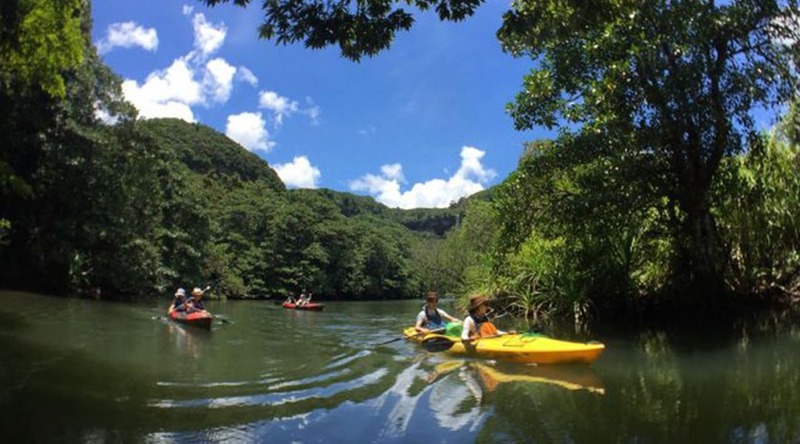 For those looking for a wild adventure, head on over to Iriomote Island, a quick ferry ride from Ishigaki Island, where you can experience the ultimate kayak excursion: rowing through dense jungle foliage and beautiful waters. Iriomote Island is also ideal for trekking, as it’s home to stunning waterfalls and lush subtropical forests which cover most of the island. There’s no telling what you’ll find on your excursion, but keep an eye out for the rare Iriomote wildcat. Being city dwellers, will you really want to go to yet another urban destination for your well-deserved break? I personally believe that a holiday is a time to relax, unwind and re-discover yourself. Okinawa would make an excellent destination for a proper urban detox where you will come back feeling fresh and rejuvenated! This post has been presented by Okinawa but all thoughts and opinions are my own.